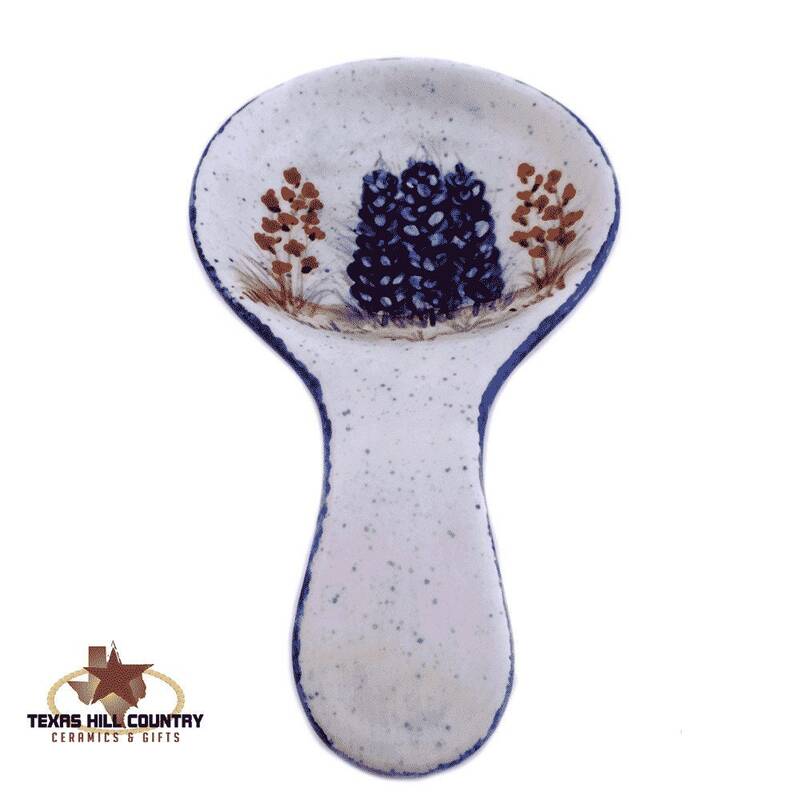 This round pottery style spoon rest is perfect for any kitchen counter or stove top. 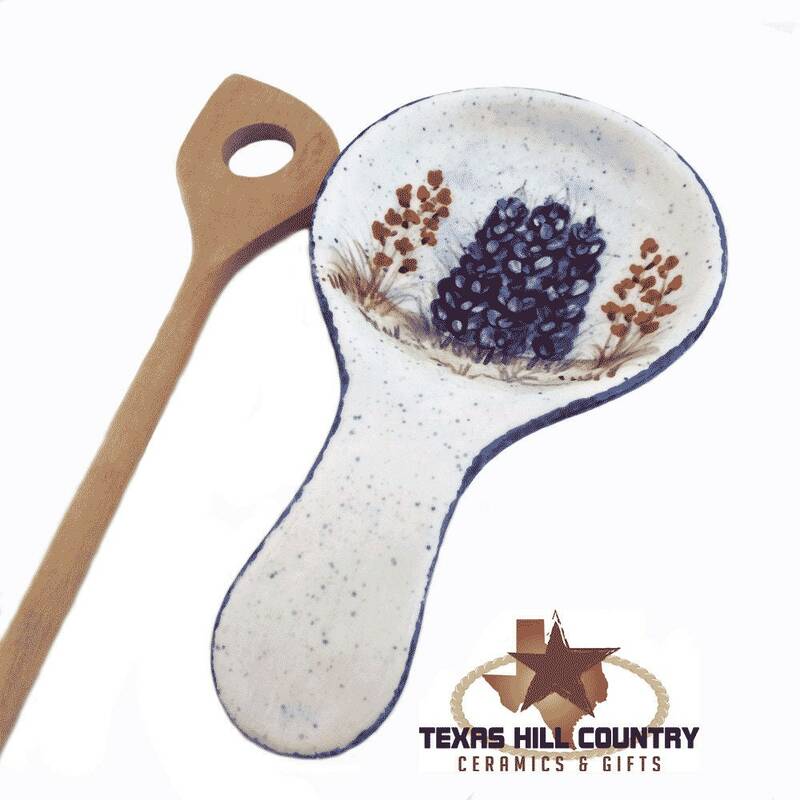 The ceramic pottery style spoon rest is decorated with my original design of Texas bluebonnets and Indian Paintbrush wildflowers. 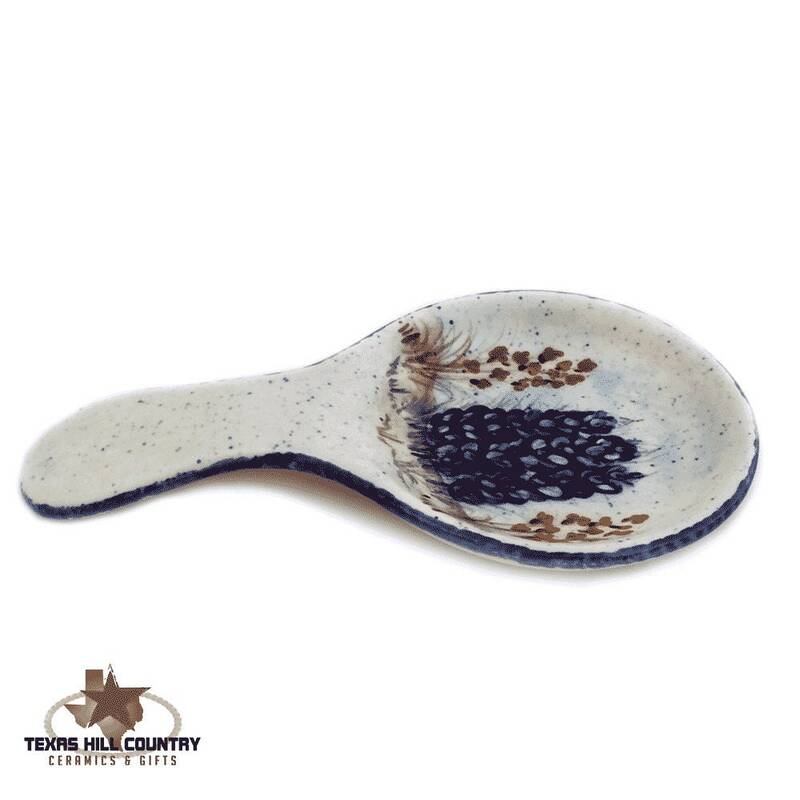 Each spoon rest is hand painted and the colors and design will never fade, flake or peel. Made to Order, see processing time in the Shipping Section. Please note the spoon rests are hand painted the one you receive may vary slightly from the one in the photo. Each spoon rest is made of domestic clay slip and kiln fired a minimum of 2 times. Each piece is solid cast in my studio located in the beautiful Texas Hill Country and fired in my kiln. All underglaze colors and glaze is lead free and food safe. Made in the USA.